Ethereal, flowy, and enchanting describes this gorgeous designer dress by Minuet! The Stars In The Sky Sequin Lace Overlay Designer Dress by Minuet is fully lined with an invisible layer of tulle underneath to give it some shape. It is crafted of flowy chiffon in a striking color. At the bust, silver lace adorned with tiny sequins adds sparkle and reminds us of stars in the sky at night. 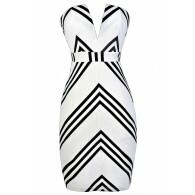 This dress has a sweetheart neckline and lined and lightly padded bust to create a flattering shape. An invisible back zipper completes this dress. The Stars In The Sky Sequin Lace Overlay Designer Dress by Minuet is perfect for any upcoming dance, holiday party, or New Years celebration. It would look great paired with navy or silver strappy heels and a cute clutch purse. Details: Fully lined. Invisible back zipper. Lined and lightly padded bust for support. Small measurements: Length from top of bust to hemline: 28”. Bust: 32-34”. 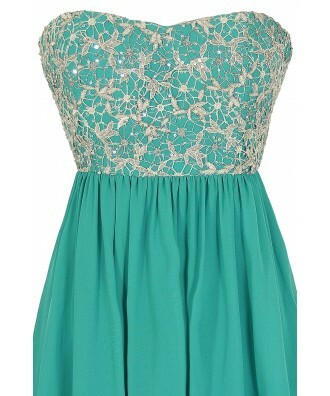 You have added Stars In The Sky Sequin Lace Overlay Designer Dress by Minuet in Teal into Wishlist. 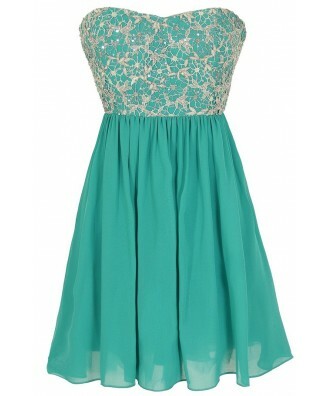 You have added Stars In The Sky Sequin Lace Overlay Designer Dress by Minuet in Teal for Stock Notification. 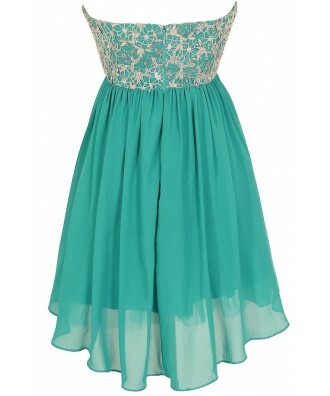 You have set Stars In The Sky Sequin Lace Overlay Designer Dress by Minuet in Teal as a loved product. 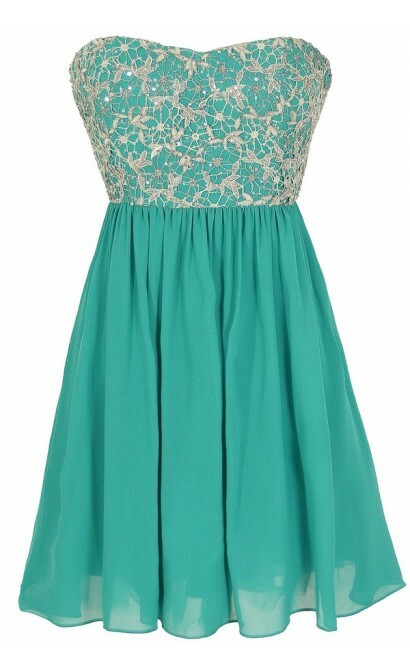 You have removed Stars In The Sky Sequin Lace Overlay Designer Dress by Minuet in Teal as a loved product.